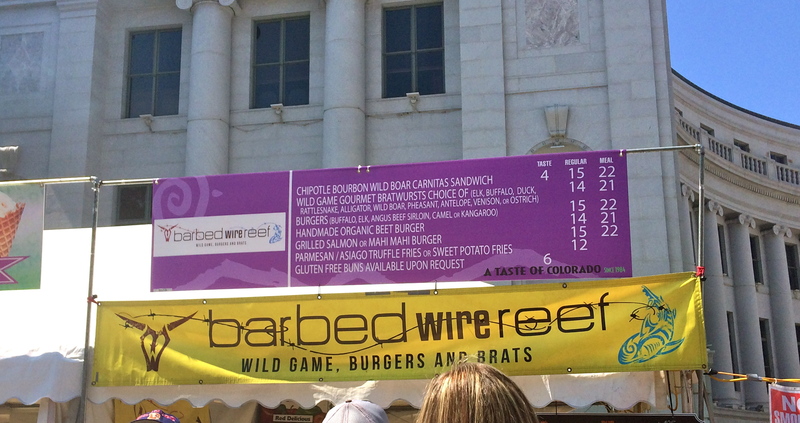 Among the items on the menu at Barbed Wire Reef were rattlesnake, kangaroo, and ostrich. We ended up going with the buffalo burger and, wow, it was fantastic! 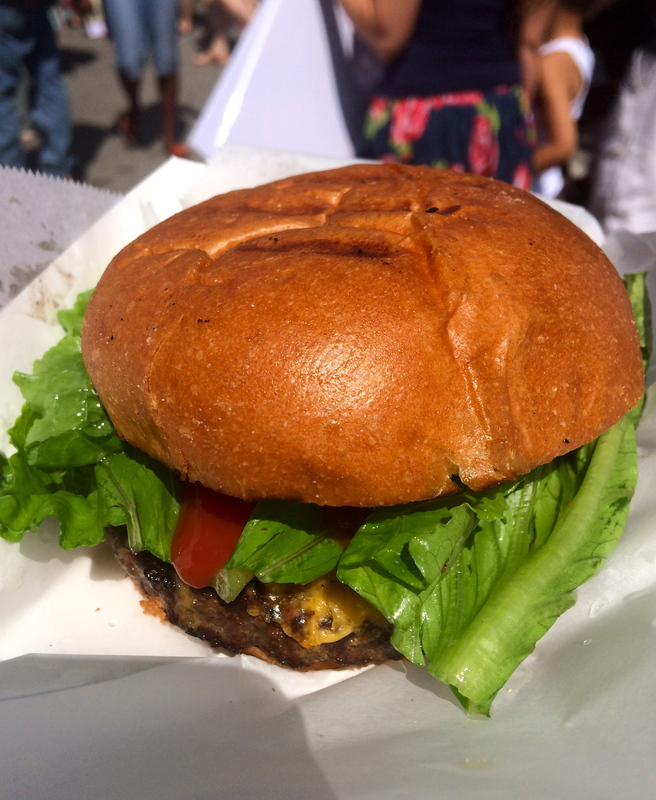 We took our buffalo sandwich over to one of the stages where Jana Kramer was playing. Not that I am a big fan of her music or anything, rather I was a big One Tree Hill fan so it was awesome to see her perform live! We watched a few songs, and moved on to see what else there was for us to taste. We opted for the mac and cheese bites and the alligator bites. Yum! There was so much to choose from, it was interesting to see some of the options different places had on their menus. 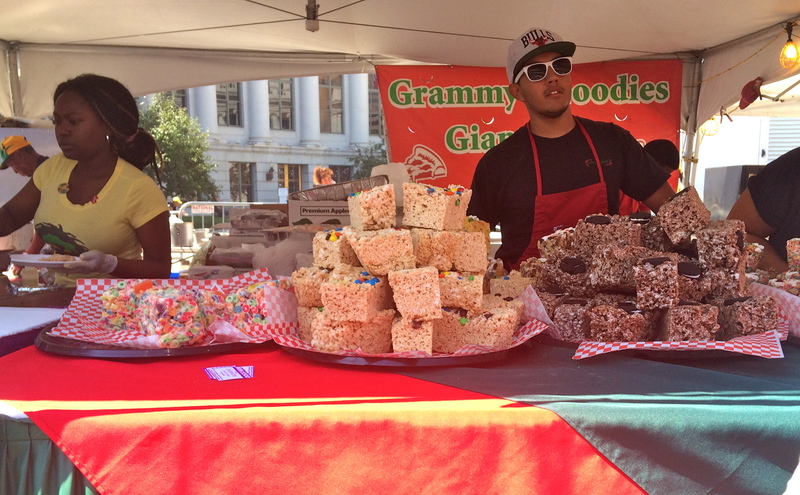 There was everything from giant turkey legs, to jambalaya, to crapes, to jumbo rice krispy treats. 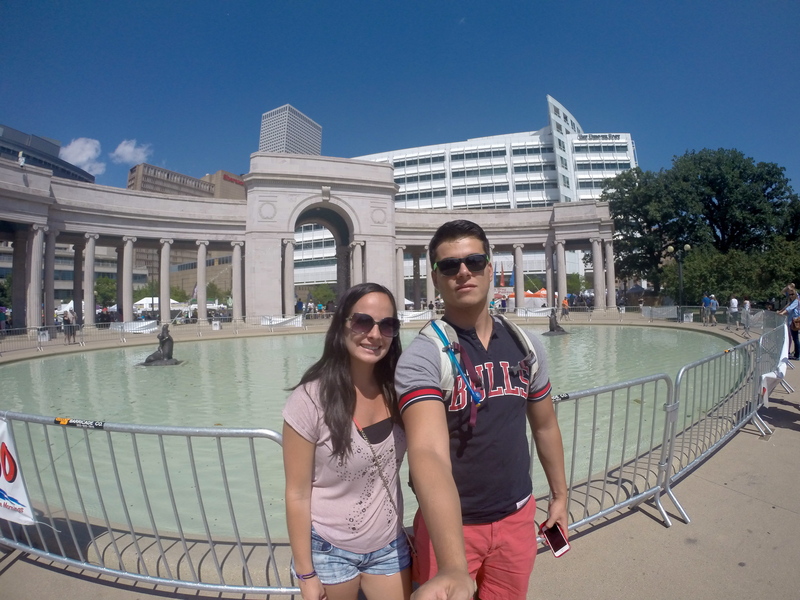 Being our first time in Denver, it was cool to see the scenery of the city around us on a beautiful day. 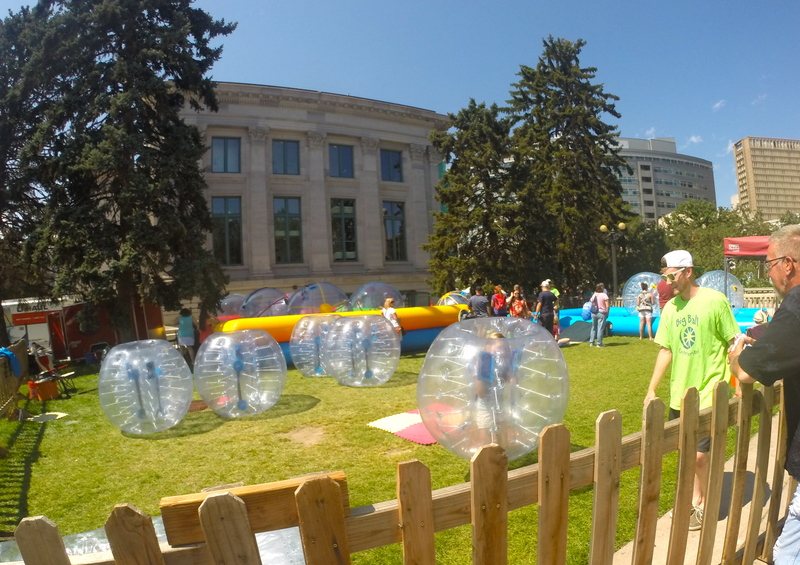 Be on the lookout for more on our return trip back to explore Denver. Maybe it was the heat or maybe it’s just a sign of me getting older, but the crowds were really starting to get to me after a while. Crowds of hungry people can lead to quite a bit of pushing and being a little too close for comfort, at least for my liking. 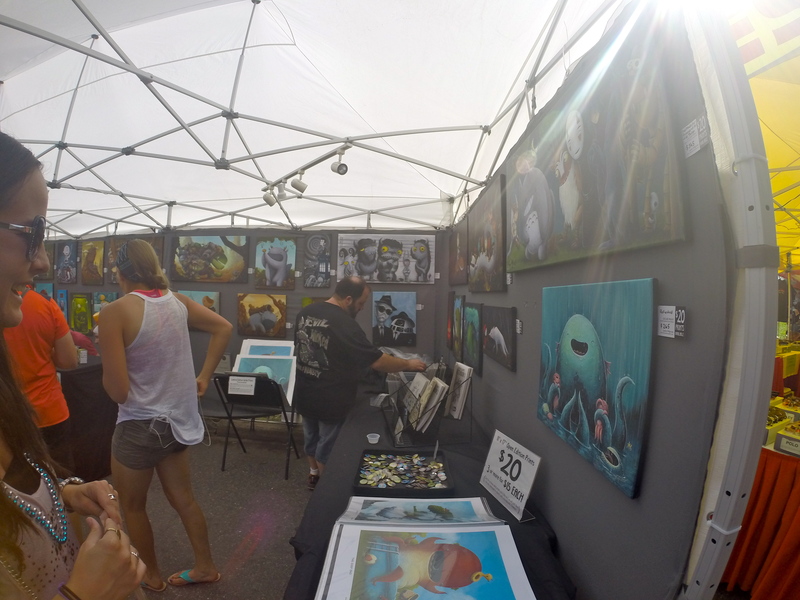 We escaped the ravenous hungry crowd and moved on to peruse the artwork by the various local artists and enjoy a snow cone (since we weren’t short enough for the kiddie activities). 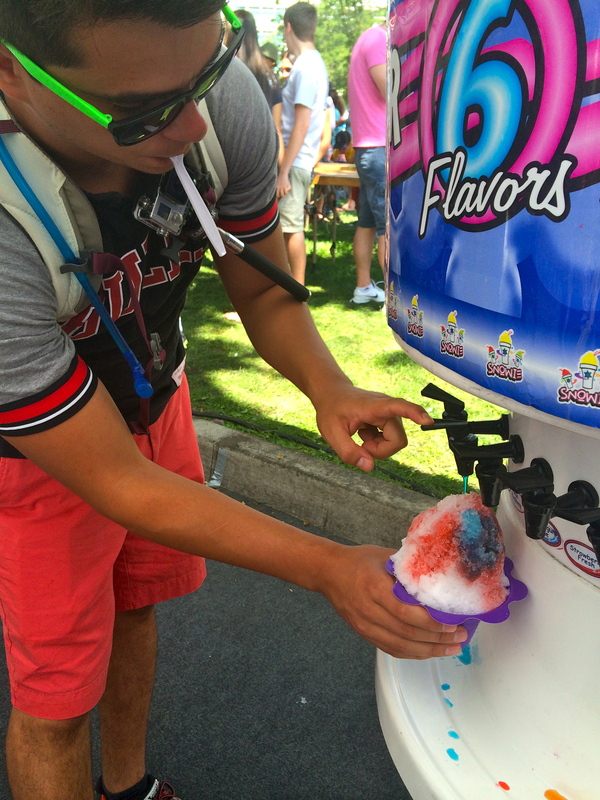 Because artwork + snow cones… why not?! I love looking at all the artwork, and some of the really interesting pieces are always temping to buy, but I do not have nearly enough wall space in my apartment for them. 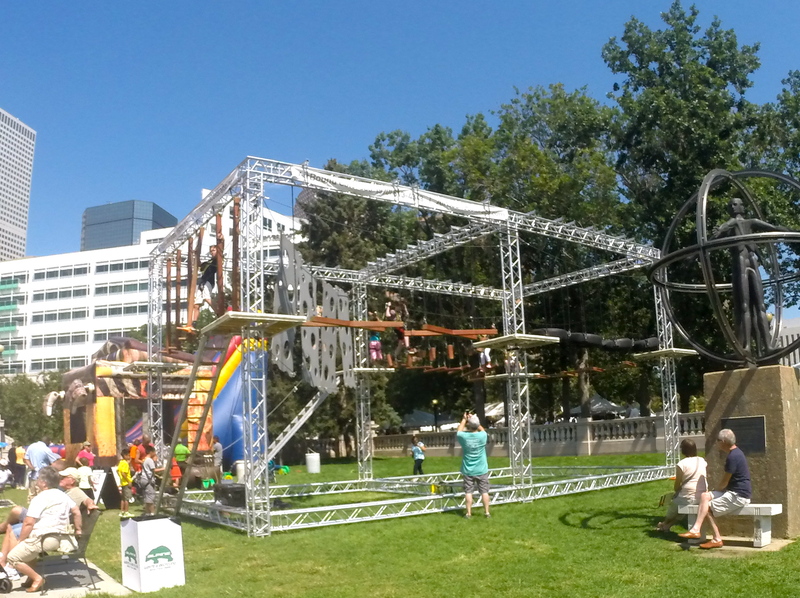 By the end, I was not totally impressed, but it was a nice way to spend a few hours and enjoy the warm, sunny afternoon. However, I was definitely ready to go back to good old Boulder by the end of the day! You just can’t beat Boulder 🙂 Glad to hear you guys are settling in and taking in the events of the state. 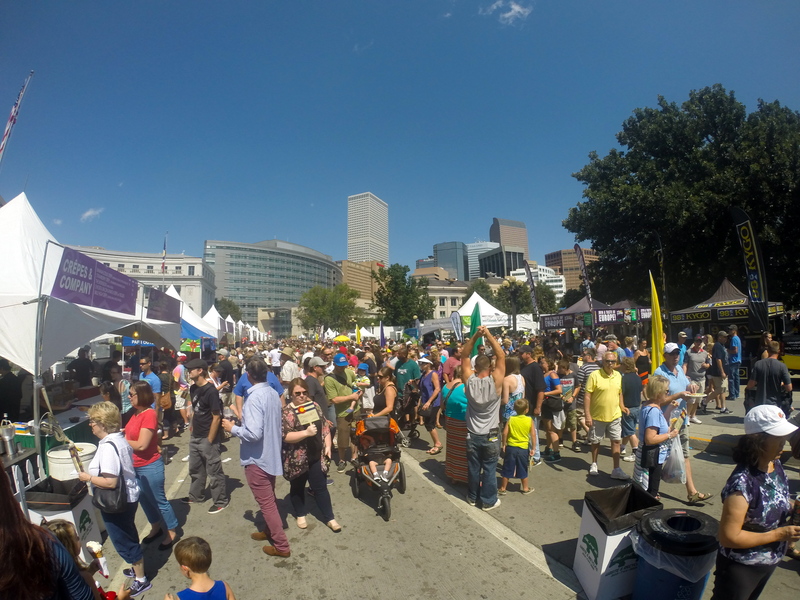 Food festivals always leave me a little beaten up so tend to avoid them. The weather looks awesome though. Yeah, this left my wallet a little beaten up.. don’t know that I would go back again but it was a nice introduction to being in a new state! It looks like so much fun but I can’t take crowds for too long either! I tried to talk my daughter into trying one of those bubble rollers this summer and she wouldn’t have any part of it – she’s convinced that the air inside them would taste bad!! Haha that’s hilarious!! Where do kids get these ideas… I would happily take her place, those things look so fun 🙂 Thanks for stopping by Lisa! Looks like a lot of fun and a great way to introduce yourself to a new city by tasting your way around! 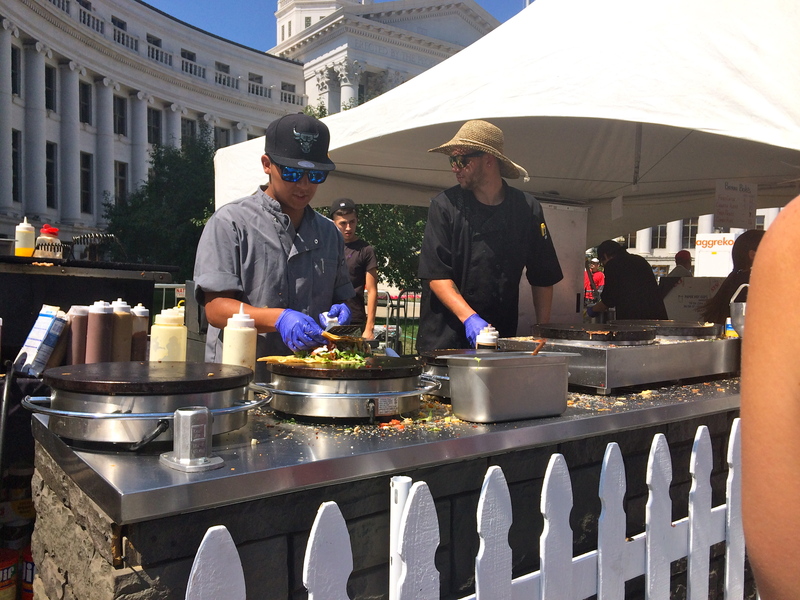 It was the perfect event to get a feel for all the great food in the area. Thanks for stopping by Brittany! 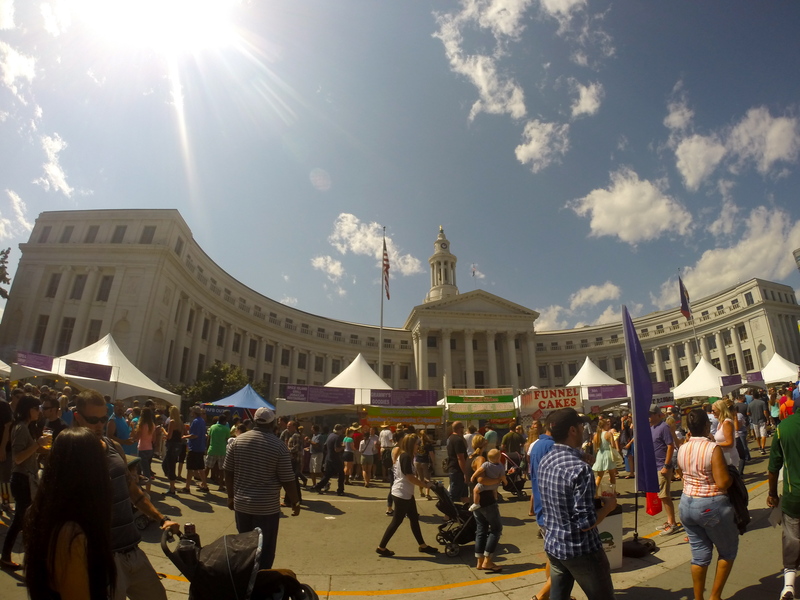 I’ve only ever been to one food festival and I left highly disappointed. That burger looks delicious though! Yeah they are definitely overpriced, but it was a nice introduction to Colorado! Haha yea those were a bit more risky.. Maybe next time! Thanks for stopping by Anda! Sign me up for some of ALL of that! 😀 I love the idea of alligator, buffalo, ostrich and everything. Exotic meats are always interesting. I love Denver, it’s my second US home and where my family is. I hope you enjoy living there, I know I did! They are all on my list! It was tough to choose which one to try. Thanks for stopping by Adrian! How much was it to attend (I believe you just said it was overpriced lol). I’m not sure if there would be too much food that I could eat as a vegan but I would be all over the snow cone machine 🙂 I am not a huge crowds person either, especially when they’re pushy. Sometimes it is worth it if its something you really want to attend. The artwork looks cool, too! Admission is free, but it’s the food/drink tickets that are way overpriced. It’s $10 for 15 tickets. So to put that in perspective, the buffalo burger in the photo in this post was 15 tickets (or $10).. for a burger! So crazy! They try and get you because when you use tickets you don’t really realize how much you are paying. Maybe I’ll eat before I go next year and just check out the free music and browse through the artwork.